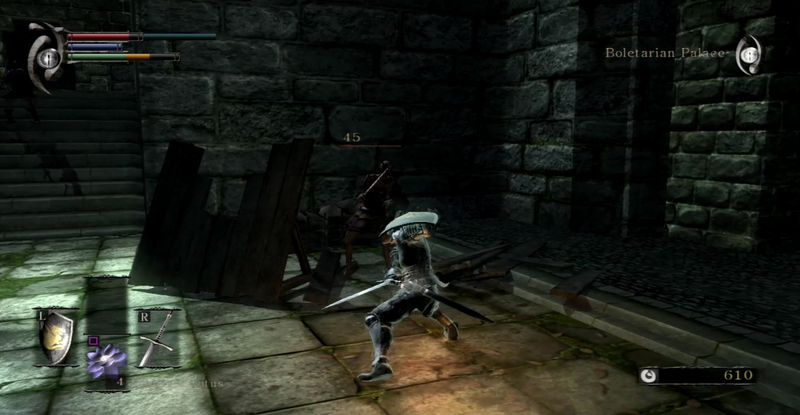 Community Blog by ChrisHannard // The Demon's Souls Diaries: Part 1 - How Hard Could It Be? Up until recently, the Dark Souls games were something of a mystery to me. I'd heard tell that they were insanely challenging but had never really played them. Yet, entirely by chance, I stumbled across a copy of the series' prequel, Demon's Souls and thought that it was high time I gave them a go. I should have brought a bigger bottle. 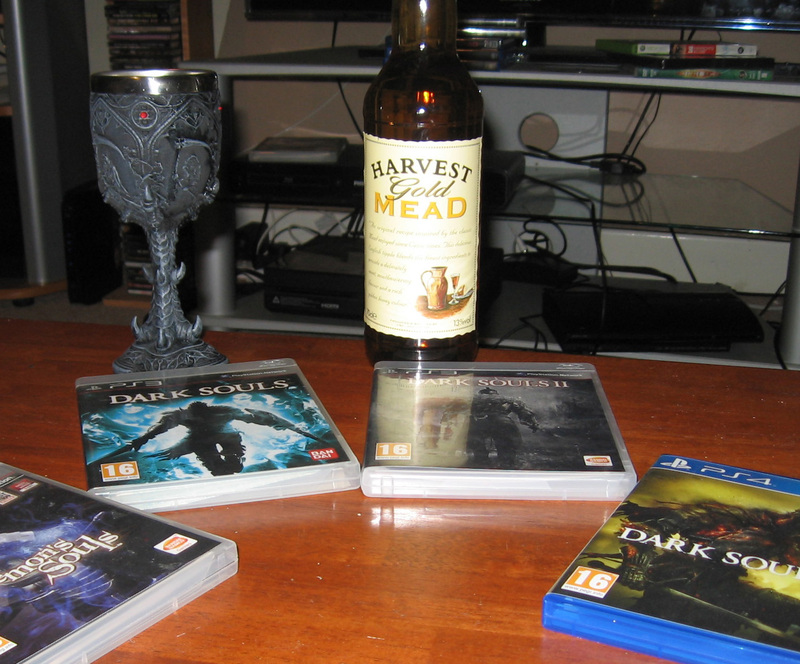 So, armed with a fully charged joypad, a bottle of mead – which felt somehow appropriate – and a ludicrously gothic goblet, I decided that I would go the whole roasted medieval hog and work my way through Demon's Souls, Dark Souls 1 – 3 and Bloodborne, proving that no mere game could best me. At least, that was the theory. Over the course of this series, I'll be cataloguing my travails with the first game in the series and potentially beyond. So read on and I'll share the tale of how Demon's Souls put the fear of the Elder God into me. 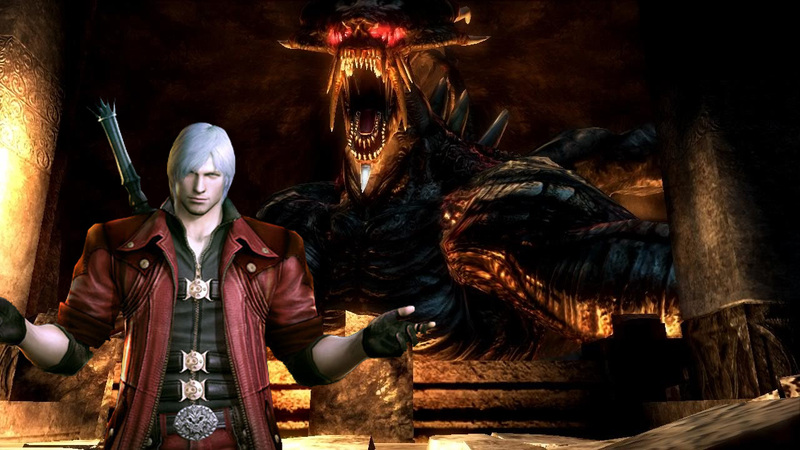 Where's Dante when you need him? Having decided to start at the beginning, with the title that launched this august series, I gingerly placed Demon's Souls into my PS3's drive. My surprise was palpable when, a few moments later, I was presented with a character creation screen. While I was aware that the Dark Souls are regarded as something of a baptism by fire, I had no idea that, as was apparent, they contained RPG elements. At this point it would perhaps have been advisable to pore through the game's instructions but, since I pride myself on never reading manuals, I foolishly pressed on. I decided to go with the game's default class of 'knight', rather than the potentially more appealing 'magician'. It wasn't that I didn't relish the prospect of hurling fireballs at my foes but I suspected swordplay would be a less complex affair. An hour later, I was stuck by two realisations. Firstly, the goblet I was using was actually woefully ill suited to the purpose for which it was apparently designed, which necessitated transferring the mead to a more practical vessel. Secondly, I had grossly underested Demon's Souls' difficulty as my warrior, the knightly Sir Bud Buttocks, met his demise for the seventh time. 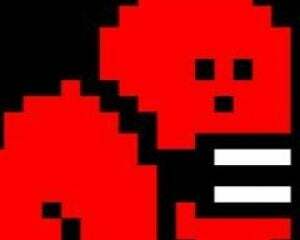 Embarrassingly, it was at the hands of one of the game's lower level enemies who ran him through with what appeared to be a rusty bread knife. At the time, I was roaming through the corridors and courtyards of the Boletarian Palace, of the game's five or so levels, each more player unfriendly than the last. I wasn't entirely sure why I was doing that, the game's plot being vague at best. Though I was intrigued by the idea that the catastrophic events that had been set into motion move at a snail's pace and could take decades or even centuries to lay waste to the landscape. I found the concept to be infinitely more chilling than a more immediate apocalypse. As my death count continued to rise, I considered the notion that Demon's Souls was conceived of as some kind of digital torture device. The game sports an unholy trinity of player-hating mechanics, completely separate from the game's excessively high difficulty level. Firstly, death means that you drop all the 'souls' – or currency – you have collected. It is possible to trek back to your lonely place of dying and retrieve them, but that means braving the level's foes who all respawn when you meet your demise. Secondly, accessing your inventory does not pause the game as I discover to my cost when I'm skewered while messing about with my items. Finally, and perhaps most sadistically, dying means you are resurrected in 'soul' form with a vastly reduced energy bar. You can restore your mortal form by using certain loot pickups or by defeating one of the game's boss monsters. I don't know which twisted genius came up with this mechanic but the disturbing consequence is that dying once means you are more likely to die next time around. Nevertheless, I managed to make very, very slow progress and I was starting to see the game's appeal somewhat. I felt determined to prove that this game would not beat me. I came to terms with the game's stamina system which, as I discovered, meant you can't deflect all enemy blows with your shield. Run out of stamina and your guard falls which, to give the designers credit, is a semi-realistic approach. 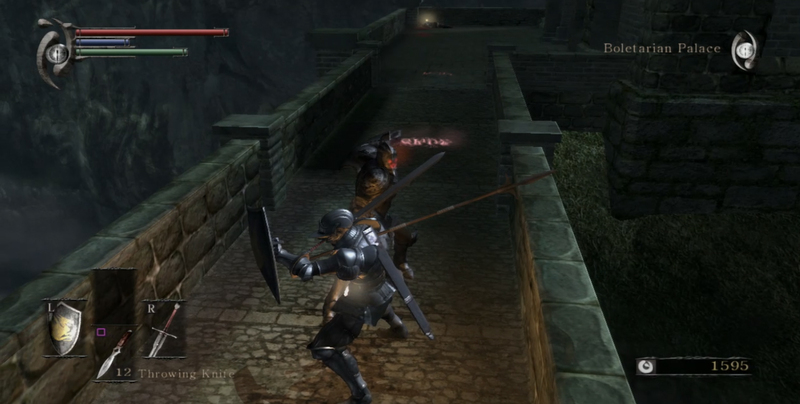 And then I ran a lance-wielding knight who, red eyes glowing, slaughtered me in one strike. And again. And again. Sod it – I was done.